Second deepwater berth at DCT Gdansk open! 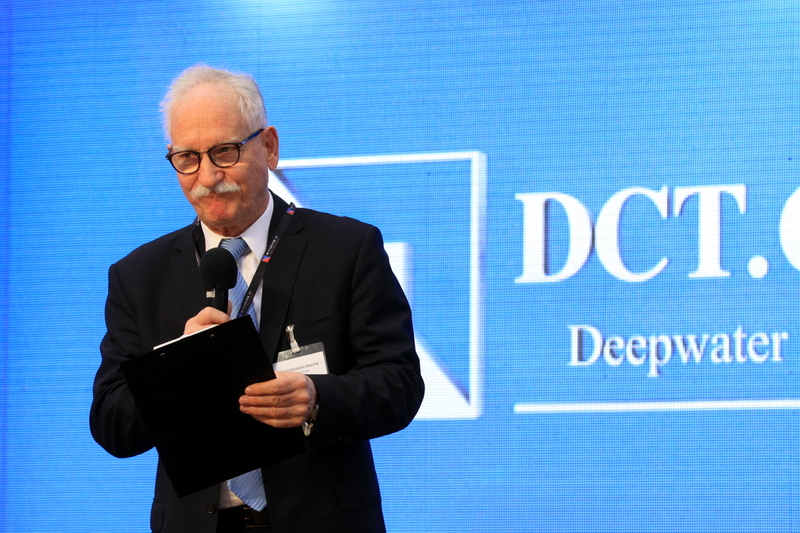 Maciek Kwiatkowski, CEO of DCT Gdansk SA during the event. Preparations for cutting the ribbon. 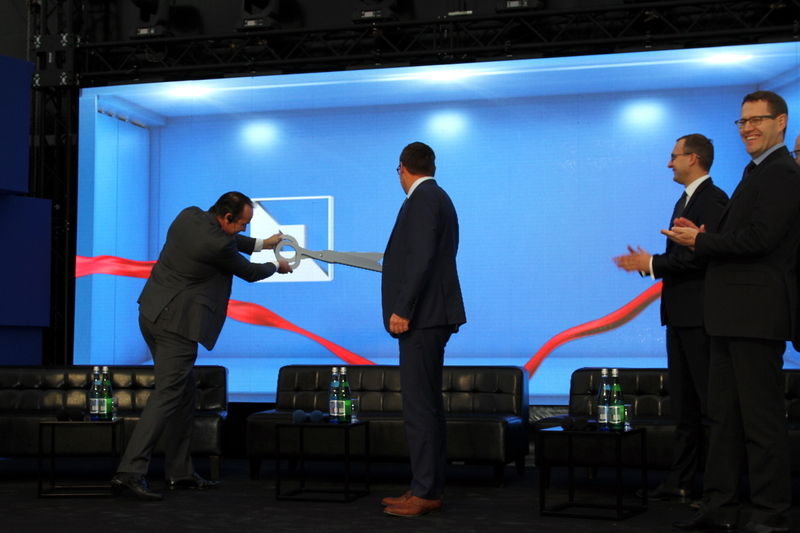 The grand opening of the second deepwater berth (T2) in DCT Gdansk took place on 24th October 2016. 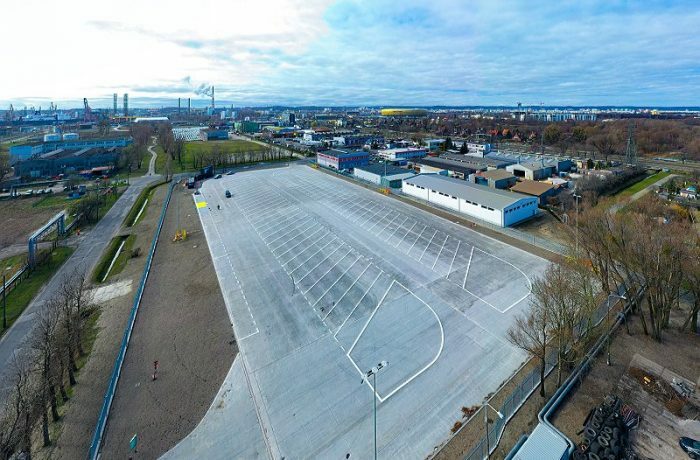 A realized T2 project is the largest private investment of port sector in Poland and one of the largest of such kind in Central and Eastern Europe, resulting in generating major savings for the consumers and limiting the harmful emissions to the environment. 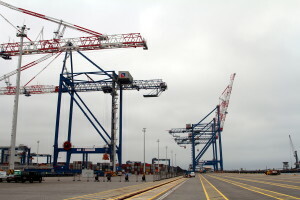 The construction of the second T2 berth was finished on time and on budget. 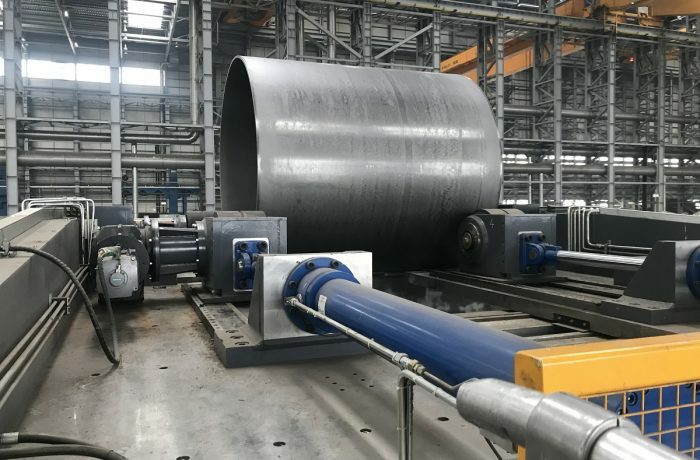 Funding for the project came from own resources of the company, as well as loans granted by a consortium of Polish and foreign banks with the active participation of DCT Gdansk SA shareholders. The ribbon is cut and new berth is open! 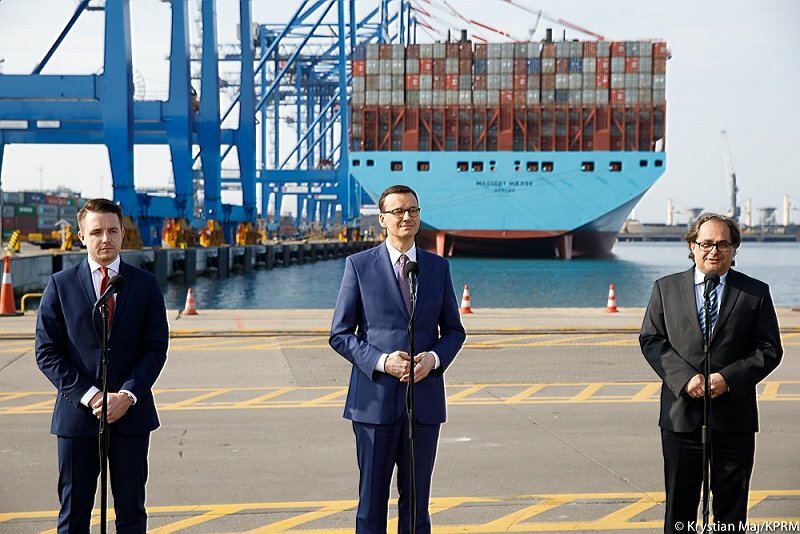 – This investment cements the position of DCT as the largest container terminal in the Baltic and strengthens the role of Port of Gdansk as a key port in this part of Europe – says Maciek Kwiatkowski, Chief Executive Officer of DCT Gdansk SA. New deepwater berth with a length of 650 meters is equipped with five modern and the largest in the Baltic region STS cranes which are able to handle ultra large ships with a capacity of over 20,000 TEU. With fifteen fully electrified RTG cranes supported in operations by more than thirty new IMV trucks, it will double the handling capacity of DCT Gdansk to 3 million TEU per year. The company employs more than 730 workers. 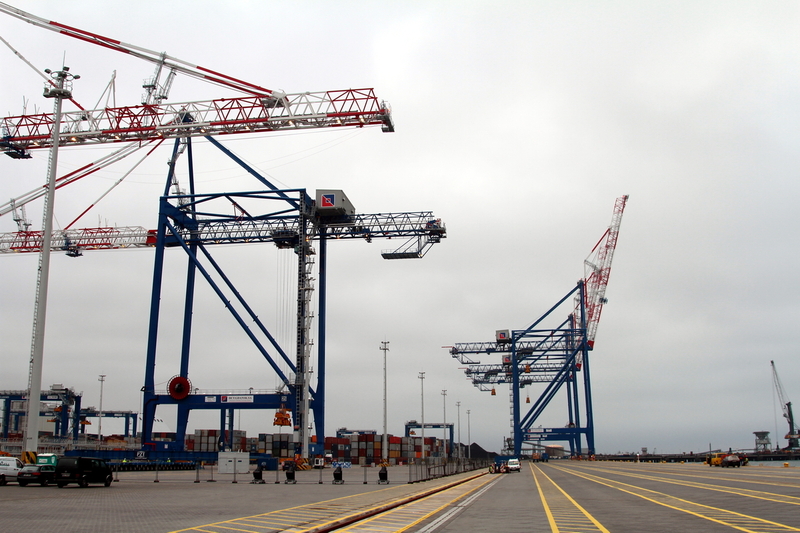 The new berth at Deepwater Container Terminal in Gdansk. 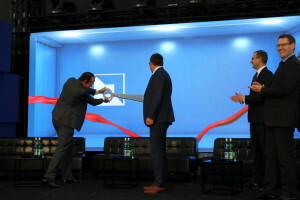 – T2 project will increase the revenues to Polish budget from VAT, excise and customs duties. We assume that already in 2016 the amount will exceed 6 billion PLN – points out Adam Żołnowski, Chief Financial Officer at DCT Gdansk. DCT Gdansk is the largest and fastest growing Polish container terminal and the only deepwater facility in the Baltic Sea region having direct ocean vessel calls from the Far East. A dynamic development of DCT Gdansk terminal is directed at creating in Gdansk the most modern and widely available container terminal in the Baltic Sea with the perspective of growing importance of Gdansk as the most significant and modern transshipment hub in Central-Eastern Europe. 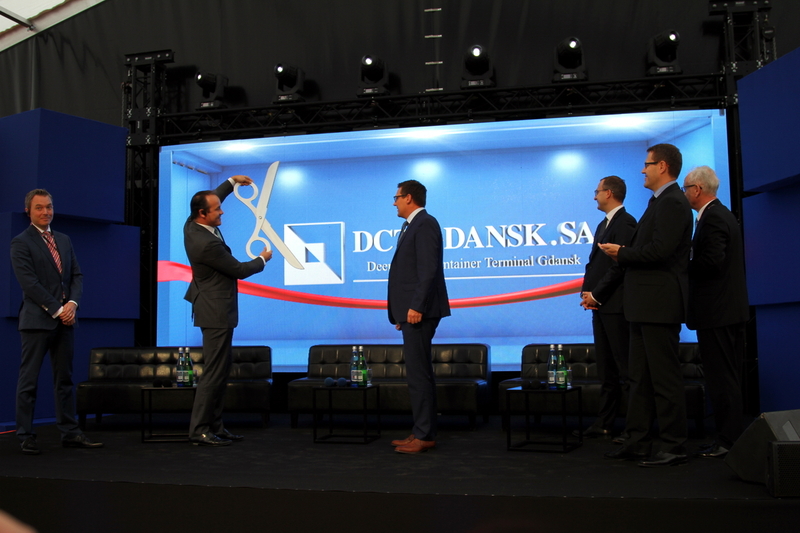 Completion of DCT investment combined with the potential of Gdansk resulting from an attractive location including the Port of Gdansk position on Baltic-Adriatic corridor of TEN-T, creates significant growth opportunities bringing socio-economic and environmental benefits nationwide.